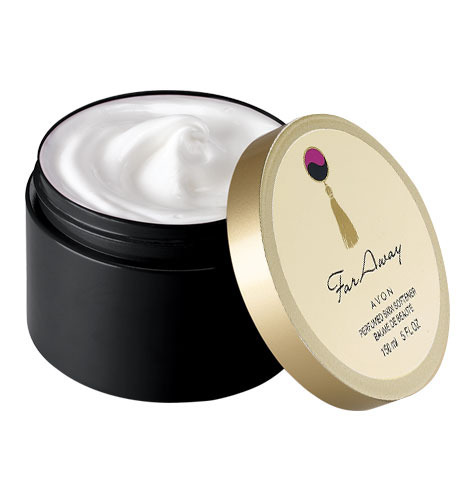 Full Size AVON Far Away Perfumed Skin Softener 5.0 fl. oz. Each. Regular Avon Catalog Price 5.75ea. You save over 70%!! Moisturize your body with the exotic essences of rare florals spiced with amber and musk. 5 fl. oz. "I had never really used Far Away moisturizer before until recently when I saw them on sale! I gave it a try and it is excellent. I really love the smell of Far Away since I have been using the fragrance for years! This moisturizer is really silky and very smooth on the skin and feels great having the nice smell all day long!" -NatureLover, Colorado We offer combined shipping for all orders to save you money! How to save money with automatic combined shipping: Place all items to be purchased from Pamperu2 into your cart before paying for them. Enter your shipping address when prompted. Pay for them when finished. Our automatic combined shipping calculator will do the rest.